Progress Toward Burying IHAT and Giving Soldiers Better Protection From Prosecution By Howard Wheeldon, FRAeS, Wheeldon Strategic Advisory Ltd. Confirming that he had set up a new legal unit tasked with investigating the issue and providing better protection for veterans who served in Iraq, Afghanistan and elsewhere looking at possible solutions including strengthening the presumption of innocence for serving and former serving members of the UK military and that would be intended to raise the legal threshold for prosecution, it is very pleasing this morning to hear Secretary of State for Defence Gavin Williamson saying that he will consider bringing in such legislation in the ‘very near future’ in order to stop former members of the UK military from being unnecessarily and unfairly pursued through the courts for their actions during conflicts in theatre. Since 2010 some £60 million has been spent by the Iraq Historic Allegations Team (IHAT) to investigate 3,668 claims made against members of the UK military during their time deployed in action with, as far as I am aware, not one single prosecution being secured. It is high time that the ‘witch hunt’ – a term used by Secretary of State himself to describe the angst caused to those member of the military that have been impacted by IHAT and other spurious allegations was ended once and for all. Williams is quoted as having said yesterday that “the thing that I know in my heart and soul that is just so incredibly wrong is the fact that we continue to have so many ex-servicemen who continue to be in a situation where they are facing persecution” adding that “we think we are very close to landing a position where we can make those important steps forward in terms of finding a solution and making sure that former and serving personnel will not go through the strain, worry and trauma of fearing a knock at the door”. My understanding is that the planned solution envisage will no longer include the previous idea of introducing a statute of limitations on charges being brought. The real significance of what is being proposed is that existing laws could be tightened around the presumption of innocence in a bid to ensure that it becomes much harder to bring charges in the first place. Mr Williamson said: “We can start to put things in place to end this absolute tragedy of British service personnel being chased through the courts” adding that “There isn’t a single silver bullet, it’s a combination of different things that we are actually going to have to look at doing. This isn’t just about Northern Ireland it’s about conflicts that have gone on since then but also conflicts in the future”. This is excellent news and I hope that nothing gets in the way of delaying whatever formal proposals and required legislation. This is a hugely important matter and I believe that if legislation was to be placed before the House of Commons on a free vote it would have little if any opposition. ‘It is not my normal practice to comment on any House of Commons Select Committee report before it has actually been formally published, but in the case of the Defence Select Committee sub-committee report on IHAT – the Iraq Historic Investigations Team – and that we are told is due to be published soon, I consider that given comments made by its chair, Johnny Mercer MP and that are extensively quoted in the Sunday Telegraph this morning, it necessary that I should bring this sad, damaging and regrettable process of shame before the wider specialist defence audience that receive my regular commentary. To begin and in case there are those that may not know what IHAT is let me say that it is an organisation set up to review and investigate ‘allegations’ of abuse by Iraqi civilians by UK armed forces personnel in Iraq during the period 2003 to 2009. IHAT is independent of the military chain of command for the purposes of its investigations and which are supposed to have been completed by the end of 2019. IHAT has been led by Mark Warwick, a retired senior civilian police detective, and as far as I am aware the unit comprises 145 employees including a number of serving military police, civilian investigators and civil servants. Allegations are ordered to be investigated in compliance with the European Convention on Human Rights. Since it was set up in March 2010, IHAT has stood accused of causing not only real distress to soldiers who served in Iraq and their families but also that its actions have destroyed the important trust and confidence that those who join and serve within our armed forces need always to have that the MOD and Government will stand behind whatever action that deployed military personnel need to take provided that this is within existing laws and conventions. Sadly it seems that the IHAT enquiry has led to serving and retired soldiers and their families being hounded by ‘ambulance chasing’ lawyers with false accusations emerging of torture and even murder that had never occurred. It has been an absolute disgrace and brought ‘shame’ on our nation. The subsequent exposure of the now struck off lawyer Phil Shiner together with that of his now defunct firm ‘Public Interest Lawyers’ has proved without doubt that the so-called investigation process conducted by IHAT since 2010 is nothing short of a national disgrace, that unit is unfit for purpose and that it should itself be struck off. Our veterans and members of the armed forces who serve their country with honour, professionalism and distinction need to know that they will always be supported by the Government that they represent. IHAT has destroyed that confidence and only by scrapping it can our military personnel have sufficient confidence to know that when they are deployed they are fully supported. No one is above law and convention and all serving military know this. The concern is that unless we draw the line now and scrap the IHAT process this will move on from Iraq to other conflicts in which British soldiers have served such as Northern Ireland and Afghanistan. Should that be allowed to occur I fear for the future of those that serve. Enough of my views and that I know are supported by many senior high ranking military personnel just as they are through all those who members of our armed forces. Below is what is reported in the Sunday Telegraph today and that follows comments made by the chair of a House of Commons Defence Select Committee sub-committee investigation into IHAT, Johnny Mercer MP, and that is apparently due to report on Wednesday February 15th and to which I have edited and made some small additions. “MPs will also say the Ministry of Defence (MoD) is responsible for creating a system that allowed Phil Shiner, the disgraced human rights lawyer, to bring criminal cases against former soldiers on an “industrial scale”, the Sunday Telegraph said. “The Iraq Historic Allegations Team (IHAT) which was established in 2010 to probe claims of abuse of civilians following the 2003 invasion, is reported to have cost £60 million to date. Johnny Mercer, the Tory MP presiding over the inquiry, said there is a ‘rotten core’ of civil servants in the MoD who acted autonomously from ministers or military figures. The MoD said it was “obliged to investigate criminal allegations and the existence of IHAT kept British soldiers from being hauled through international courts”. The Sunday Telegraph notes that since IHAT was launched there have been 3,392 cases lodged, two-thirds of which (2,470 in fact) were brought by a so-called now disgraced human rights lawyer, Mr. Phil Shiner whose firm, Public Interest Lawyers (PIL) has also now been struck off following 12 charges of misconduct having been proved by a panel of the Solicitors Disciplinary Tribunal. The allegations against British military personnel have ranged from low-level mistreatment of civilians to claims of torture and murder and amongst proven allegations against Mr. Shiner included five of dishonesty. Mr. Shiner had already admitted acting recklessly by publically claiming UK troops unlawfully killed, tortured and mistreated Iraqis. There have been (subsequent) calls for the lawyer to face criminal prosecution and the National Crime Agency is said to be reviewing evidence from the Legal Aid Authority. Among the report findings, the Sunday Telegraph suggests that “the parliamentary report is expected to question why PIL was paid by IHAT to help it with its inquiries and that it is likely to criticise the MoD for [apparently] paying the firm more than £200,000 after the disgraced lawyer had been reported to the Solicitors Regulation Authority”. I note too that the on-line report published earlier notes that the Committee Report will also condemn the payment by IHAT of £110,000 to an Iraqi agent who was also [apparently] working for Mr. Shiner. The Sunday Telegraph report is expected to call for IHAT, which is made up of mostly civilian investigators, to be replaced by a team from the military police. Separately, the newspaper reports a spokesperson from the MOD saying “the Government is legally obliged to investigate criminal allegations and the courts are clear that if IHAT did not exist, British troops could be dragged through international courts”. The MOD spokesperson went on to say “We’re committed to reducing IHAT’s caseload to a small number of credible cases as quickly as possible and determined to stop spurious legal claims against our troops and tackle the likes of Phil Shiner, who have abused our legal system. The Defence Secretary [has] insisted that the MoD submit evidence on Shiner’s actions due to the distress he caused to soldiers. That led to Shiner being struck off. Now we are taking steps to ensure this abuse cannot happen in the future”. 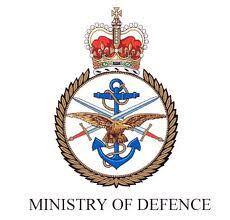 I will live in hope as will the very many serving and retired members of our armed forces that I know personally that this report when formally published will lead to action that is clearly aimed at discriminating against members of our armed forces being ended forthwith. IHAT has already proved itself to be a costly and very damaging mistake by the previous Government and its task must be ended now before further damage is done. Previous PostCan-Do, Will-Do Approach On Galileo Replacement Very Welcome By Howard Wheeldon, FRAeS, Wheeldon Strategic Advisory Ltd.Next PostBAE Systems – Driving Skills, Technology, Engineering, Innovation and Learning Forward Apace By Howard Wheeldon, FRAeS, Wheeldon Strategic Advisory Ltd.